Sharīʿah has specific rules for dealing in each class of assets and activities; i.e., cash, debt, goods, usufruct, and those classified as either ḥalāl (permissible) or ḥarām (impermissible). These rulings can be easily applied when such an asset or activity is an independent subject matter of a transaction. However, the issue becomes complicated when an asset or activity is mixed with others and the combination is represented as a single subject matter. A fine example of this situation is shares of a joint stock company. A company share represents all the activities and underlying assets of that company. Some of the activities and assets of that company may be Sharīʿah non-compliant while some may be Sharīʿah compliant. Such assets can be in any form; i.e., cash, debt, goods, usufruct or rights. There are two main issues that need to be dealt with in considering a company’s shares: (1) when it represents a mixture of ḥalāl and ḥarām activities and assets, and (2) when it represents a mixture of ribawī and non-ribawī assets. (3) the principle of majority (al-akthariyyah). The principle of primacy and dependency is a qualitative criterion that does not require any quantitative measurement. The primacy of anything in a case can be established when other things are considered dependent (subordinate) to it. It should be noted that constituting a slim or broad majority may not necessarily make something primary because quantity is irrelevant in applying this fiqhī principle. Scholars view that, once the relationship of primacy and dependency has been established, then whatever Islamic ruling the primary factor takes, the subordinate would also take the same Islamic ruling. However, this maxim is not applicable in the context of ḥalāl and ḥarām. The other two principles are applied in cases involving a mixture of ḥalāl and ḥarām; however, substantial controversy exists in defining their meanings and parameters. The principle of majority (akthariyyah) uses a purely quantitative criterion. It states that the Islamic ruling for the majority should govern the minority as well. The authors consider the weightiest juristic view on the definition of majority to be when something constitutes more than half (50%) of the total of the case under consideration. Conversely, what is less than half would be considered in minority. The principle of predominance (al-ghalabah, as in العِبْرَةُ بالغَالِبِ الشَّائِعِ لا بالقَلِيلِ النَّادِر ), requires that the greater thing or part of a thing (ghālib) in a case should dominate the other things or parts (maghlūb) in terms of their Islamic ruling. The controversy about it starts with disagreement over whether it is a quantitative or qualitative criterion. The authors consider the weightier view to be that it is quantitative. The authors further consider the distinction between the principle of predominance and the principle of majority to lie in the relative proportions of the greater and lesser amounts. Predominance can only be acquired when a thing is in majority to an extent that makes the other side trivial (ḍaʿīl). Hence, when a thing is in majority by a small margin it can be considered as akthar but not ghālib. Something can only become ghālib when it is in majority by a huge margin. 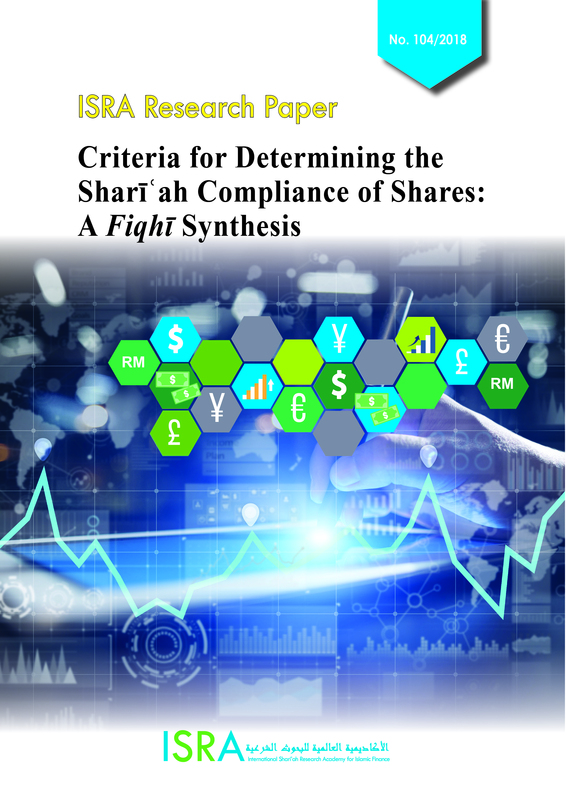 In view of the abovementioned, this study finds that the principles of al-aṣālah wa al-tabʿiyyah and alaghlabiyyah could be the main basis in assessing the Sharīʿah compliance of shares of a company whose activities are mixed with ḥalāl and ḥarām elements. If the primary activities of the company are Sharīʿah-compliant (ḥalāl), it can be classified― in principle, based on al-aṣālah wa al-tabʿiyyah― as Sharīʿah compliant though there are secondary activities that are contrary to Sharīʿah. However, to determine the maximum level of tolerance for Sharīʿah non-compliant activities (ḥarām), the principle of aghlabiyyah should be applied. For the debt ratio (interest-bearing debt) and cash ratio (cash placed in conventional financial institutions and interest-bearing securities), the principle of aghlabiyyah should also be applied along with the principle of al-aṣālah wa altab ʿiyyah, as there is a mixture between permissible and impermissible factors. Currently, most Sharīʿah screen providers employ ratios between 30 to 33%, which is seemingly derived from the principle of majority. As for the liquidity ratios, which are aimed only at the tradability of shares, the principle of al-aṣālah wa al-tabʿiyyah can be adopted independently, without incorporating the principles of aghlabiyyah or akthariyyah. The reason is that having cash or receivables generated from Sharīʿah-compliant activities cannot be equated with having Sharīʿah non-compliant activities or assets. Moreover, when the main objective of a company and its activities aim at dealing with or producing non-ribawī goods or services, ribawī assets would become subsidiary in nature. Furthermore, at the time of acquiring and trading shares, investors do not intend to own the assets of the company per se, they are more interested in the company, its business activities and potential to earn profits. Hence, there is no need to set a maximum tolerable ratio for the ribawī assets in the case of shares.